Already on June 8 starts the tournament that will designate the European football champion for the next four years. Euro 2012 is a unique occasion for all fans of betting. 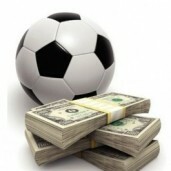 Euro 2012 Betting – those two terms fit each other perfectly. Here, we can suggest you, which of the 16 teams taking part in European Football Championships bookies’ favorite is. If you concentrate yourself exclusively on odds concerning the issue, who has the best chance to win Euro 2012, there will be no surprise. In opinion of oddsmakers, i.e. professionals who are responsible for calculating and setting betting odds, the best chance have the Spaniards. La Furia Roja is a national team that triumphed at Euro 2008; they are also current world’s champions. But we would be not so sure that the Spaniards are really able to defend their title, since the participation at the tournament of their team’s star, i.e. David Villa, still is up in the air. Another great personality of Spanish football, the striker Fernando Torres, has significantly lost the tread and seems to have forgotten how to score a goal. Therefore the outcome is still open to various speculations… Take look for a Euro 2012 top goalscorer odds. Bookies who offer the option of betting on who becomes football champion of the Old Continent, asses also highly the chances of Germany. European vice-champions that won that title 4 years ago and the current world’s third best team includes some excellent young generation footballers. Mario Goetze, Sami Khedira, or Mesut Ozil are presently the best caliber players who are able to stimulate the German national team to achieve spectacular success. The Dutch are rated third among potential favorites to win the Polish-Ukrainian tournament. Oranje is the team that always has excellent footballers, but they seldom manage to succeed. An indication of the possibility that the Dutch can stir up on top, is their vice-championship, the title won by them in 2010 in South African stadiums. 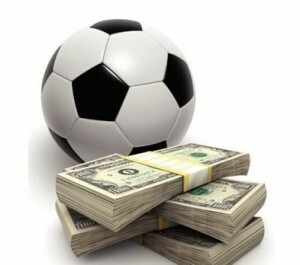 In bookies’ opinion, the English are granted the fourth position among Euro 2012 favorites. The Three Lions have in fact some superior footballers, but as a team they fall behind the previously mentioned teams. The chances of Poles at Euro 2012 are assessed by bookies – let me say it openly – in real terms. For one PLN bet on Smudas Eagles you can win about 50 PLN. The same amount is worth the champion potential of Czech and Greek teams. The championship of Swedes, Danes or Irish is worth even more. Look at the current Euro 2012 winners odds. And what do the teams’ chances to become winners of their groups look like? The Poles, Greeks, Czechs and Russians will compete in Group A. The best chance of making it to the next stage of the tournament is given by bookies to the Russian team. Close behind them, according to persons assigning the value of betting odds, are Poles. The Czechs are on the third position and on the fourth place are the Greeks. Group B is significantly stronger and it’s no wonder that just after the draw it was called Group of Death. It consists of Germans, Dutch, Portuguese and Danes. This arrangement of teams corresponds to the value of odds assessing the chances of each team of making it to quarter-finals. Therefore, if you bet on Germans as group winners, you will earn the least and by betting on success of the Dutch you can win the most. The Spaniards are favorites of Group C. Their most dangerous rivals, at least on paper, should be Italy. The third position with respect to chances of promotion take the unpredictable and always dangerous Croatians. In this ranking, the Irish should be theoretically the whipping boys. The Ukrainian national team, which is co-hosting the championships, has been far less lucky in the group draw than Poles. In Group D they are playing against England, France and Sweden, respectively. The best chance to make it to the quarterfinals the bookies give of course to the English. Close behind them are the French. The Tricolores have seriously rejuvenated their team, what can result in two ways: they can either become the black horse of the event or fail completely. With regard to chances of making it to the quarterfinals, the Ukrainians are ahead only of the Swedes. France could spring a surprise this year and are worth a bet. euro2012bettingtips will tell you why!